With today’s busy life, it’s difficult to find time to do exercise we need or spend expensive fee to be a gym member. Built in powerful vibrating motor, ensure this Vibration Plate enable to make high frequency vibration which creates a stretch reflex within the body and the effects of exercise without the exertion of conventional exercises. 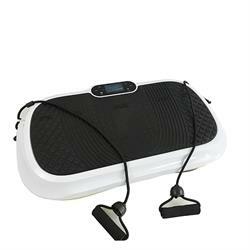 This Vibration Machine Fitness Vibration Plates make it easy and economic for you do effective exercise, whole body fitness massage and burn some extra calories while watching television, reading a book at home or working at the office, etc.